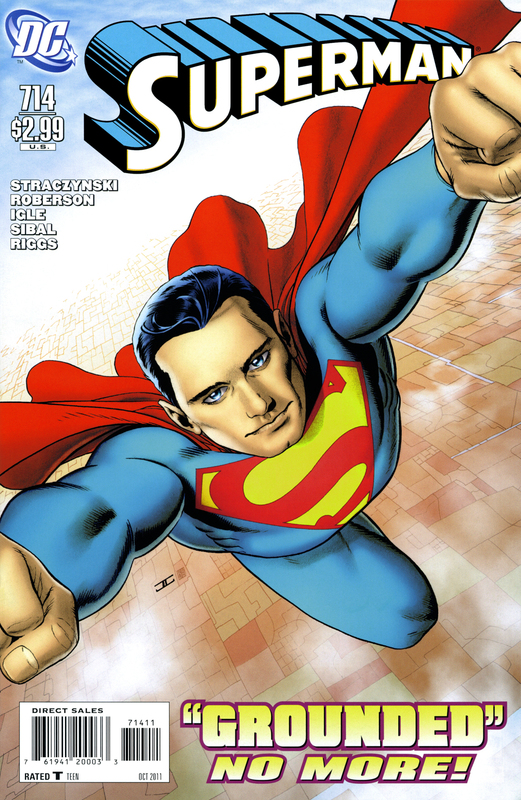 Well, I picked up Superman #714 the final issue of the Straczynski’s Ground series and it ended surprisingly really well. The issue is quite dense in so far as packing a lot in one issue, but not so dense that it hinders a good flow of the story. And it ended in a way that I was completely not expecting. Honestly, I really thought that with this issue, that Superman would hang up his suit for good, and that would make for a great new #1 amongst the New 52! As I came to find out this month from talking with the regulars at my local comics shop, especially those who are following the Flashpoint series, all the #1s actually relate to an event in Flashpoint (which I'll blog about in another post). 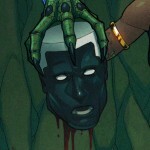 I should also provide a spoiler alert, that I do reveal a good bit of what is in this issue. If you haven’t been following the Superman Grounded series itself, though, it began about a year ago when Superman decided that he would start to walk everywhere, to give himself a chance to reflect on all the events of New Krypton being destroyed, it’s implications on the his life and others, and also to help others, especially human earthlings, see that they can be super too. Also, in the course of the year, he had to wrestle a lot with the meaning of authority in our contemporary world, and where he fit in that larger picture. It ended up that on his walk, he got really depressed, and in his many reflections and conversations, it literally took him to the very brink of choosing not to be Superman any longer. Along the way, he had many thought provoking encounters with a diverse spectrum of people. In the course of the year, Superman especially encounters a group from the future called, the Superman Squad, who keep earth and the larger universe safe. They appeared to Superman by opening a portal or what they called a “lightening door” from their headquarters, the “Fortress of Solitary,” which exists outside of time-space in what they called, the “Still Zone,” and tried to tell Superman about the future implications of his life, to try to influence him to stay on as Superman, and that if he didn’t, that they might not exist anymore as they do. Superman meets the Superman Squad for the first time. From Superman #708, p.1. The individual standing closest to Superman is Lisa Jennings. In this final edition of the series, #714, we are revealed the details of how during his year long journey, by accident, a human, Lisa Jennings, got psychically linked to Superman at one of his most depressed moments, and from that link, it gave her actual Kryptonian powers; then, feeling and thinking all that Superman was at that low point, overwhelmed by this — through the many issues of the past year, in a backstage way, impassioned, she tried to push Superman even further to the precipice of hanging up his suit. 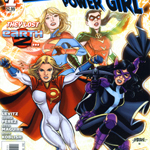 In this final issue, she kidnaps Lois Lane to draw Superman to her, he rescued Lois, got in a big fist fight with the woman, and then Superman called out to the Superman Squad to open the lightening door to the still zone where they wouldn’t be able to destroy anything in a fight, because there’s pretty much nothing there but endless, empty, white space. Superman is battling Lisa Jennings and takes her through the lightening door. From Superman #714, p.10. 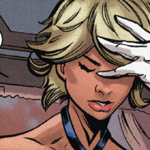 Jennings ends up telling Superman everything of what had happened to her due to a Kryptonian crystal device of which she had come in contact. With a bunch of that explanation, a lot of things began to be a whole lot more clear now in Superman’s own mind about all that had happened over the year expanse. Weathering these thoughts, Superman and Jennings got in physical struggle over control of the crystal and they ended up blowing up the device. 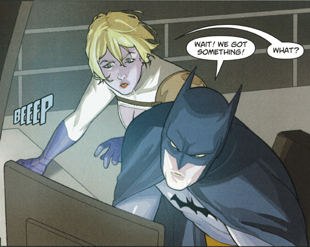 The blow left Jennings unconscious, Superman had the lightening door open again and they returned back to earth where he leaves her at a hospital emergency room, unconscious. In the end, Superman goes back, picks up Lois, and they fly off happily ever after. Following this, Superman decides to set up a network of heros that he could call upon at a moment’s notice, and he gave them all “signal watches.” It said, “Superman explained that he had learned in his walk across America that he could not be everywhere at once.” He gives the watches to a bunch of the people who he had interacted with on his year long journey, including Saganowhana or Super-Chief, John Henry Irons or Steel, Iron Munro, Livewire, Superboy, and Supergirl. 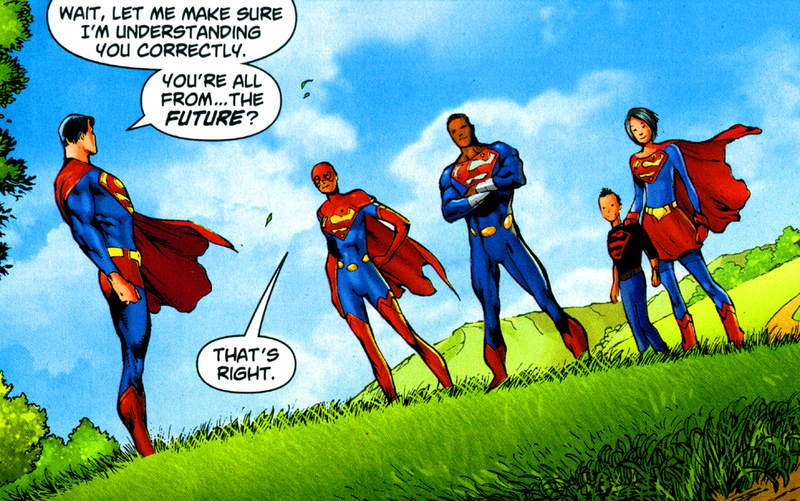 Superman forming the Hero Network, meets with and gives signal watches to Iron Munro and Livewire. From Superman #714, p.25. And in a shocking turn of the final two pages, we are brought back to the Fortress of Solitary where a tour is taking place to orient some new Supers. And in the final frame, we learn that the primary member of the Superman Squad who had tried to convince Superman to not give up the job was actually Lisa Jennings herself, she continued to have her Kryptonian powers and lived as a superwoman when needed. I’ve also heard that we’re going to see more the Superman Squad in the future! So that should be exciting! Maybe they’ll drop them into some of the New 52. Overall, it was a really great and surprising ending to a wonderful year long Superman series! Both the dialogue and the images were very well done; the issue was abundantly packed with wonderful storytelling. Every comic book writer and every artist brings their own unique expressions and the imagery of this edition actually reminded me a lot of comics from decades ago with a plentiful use of simple colors. 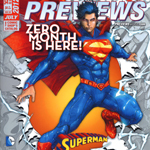 It gave this edition a little feeling of nostalgia concerning Superman comics of years gone by. A marvelous finale that tied the entire year of stories altogether in one. Thank you DC Comics for another amazing comic book! Pick up your edition today! Or order #714 through www.amazon.com or another online retailer. 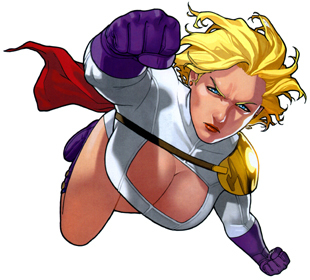 Enjoys blogging about comic books, but especially Power Girl. Domiciles on planet Earth. And enjoys vegetable gardening and mixes of Frangelico and Butterscotch Schnapps.